Home / Blog / Meet Our Spring 2019 Urbanist Journalism Fellows! 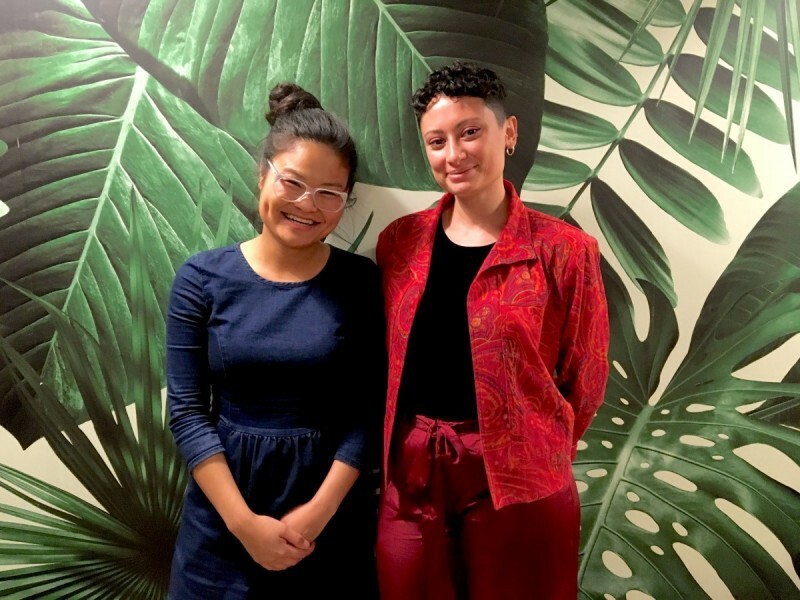 Our Urbanist Journalism Fellowship in partnership with Greater Greater Washington is continuing this spring with two new faces: ThienVinh Nguyen and Natasha Riddle. Please welcome them to the team! Remind me: What’s the story behind the fellowship? This fellowship was launched to help local journalists build their careers, gain more of a background in urbanism, and provide our readers with an even richer array of stories. We also specifically wanted to lift up voices and perspectives that aren’t as prevalent on urbanist sites. This fellowship is focused on urbanism through an environmental and equity lens, which are two of our editorial priorities. AJ Earl and Christina Sturdivant Sani were our inaugural fellows, and now we’re expanding the program to a spring and fall season. Without further ado, meet our spring cohort. Born in Vietnam and raised in California, ThienVinh is a Deanwood resident and urban studies researcher who recently completed her PhD on urban governance. She studied how city governments and citizen groups can push for inclusive urban development, and she’s particularly excited to write about urban foraging, local businesses, and affordable housing in the District. ThienVinh wrote about Asian American issues for UCLA’s Pacific Ties newsmagazine, interned for the “Green Page” at the burgeoning Huffington Post, and discussed the importance of walking to experiencing a city in Engaged Urbanism. Read a few of her pieces in The Sacramento Bee and the Smithsonian Folklife Festival blog. Natasha is a Petworth resident who’s passionate about writing, story-telling, and film. She’s particularly interested in the intersection of city living, social justice, and environmentalism, and wants to explore issues related to the Central American community in DC, as well as the service sector’s influence on the urban environment. She is a Salvadorian who grew up in Guatemala until she was 13, and then lived in Indiana before landing in DC to study Literature and Cinema Studies at American University. She’s a server as well as an essay reader at The Rumpus; check out her piece there and in Medium. She’s also critiqued films at the DC Shorts Film Festival. Keep your eye out for the fellows’ pieces in the coming weeks. If you have questions or story ideas for them, let us know in the comments.